Dave Kling has been EPA’s Associate Administrator for Homeland Security, or Acting Associate Administrator, since July 2015. Our Office of Homeland Security is responsible for coordinating Agency planning, prevention, preparedness and response to large-scale catastrophic incidents, such as terrorist attacks and natural disasters. It sets and implements a strategic direction for our homeland security activities in collaboration with our various programs and policies, and with other governmental and private entities. Dave had previously been director of our Federal Facilities Enforcement Office, beginning in October 2002. 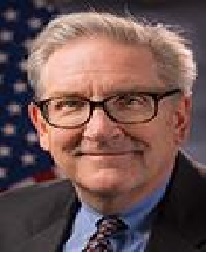 He joined EPA in 1985, serving as acting deputy director of the Agency’s chemicals program in the early 2000s, director of its Pollution Prevention Division in the 1990s, and as a manager of EPA’s asbestos program in the late 1980s. He holds a B.A. in journalism from Penn State, a master’s degree in management from the University of Washington, and a Ph.D. in political science from Johns Hopkins. Dave was also a Harold Sterling Vanderbilt Scholar at Vanderbilt University.